CEDAR CITY – On Oct. 5, the community will show their sisters support at the Power in Pink fundraising 5K run and one-mile walk for breast cancer awareness. Participants can register via active.com or by printing, filling out and turning in a registration form, available on the event website. Registration costs $20 for either event, though discounts may be available for active.com members. After Sept. 25, registrations will not be accepted. 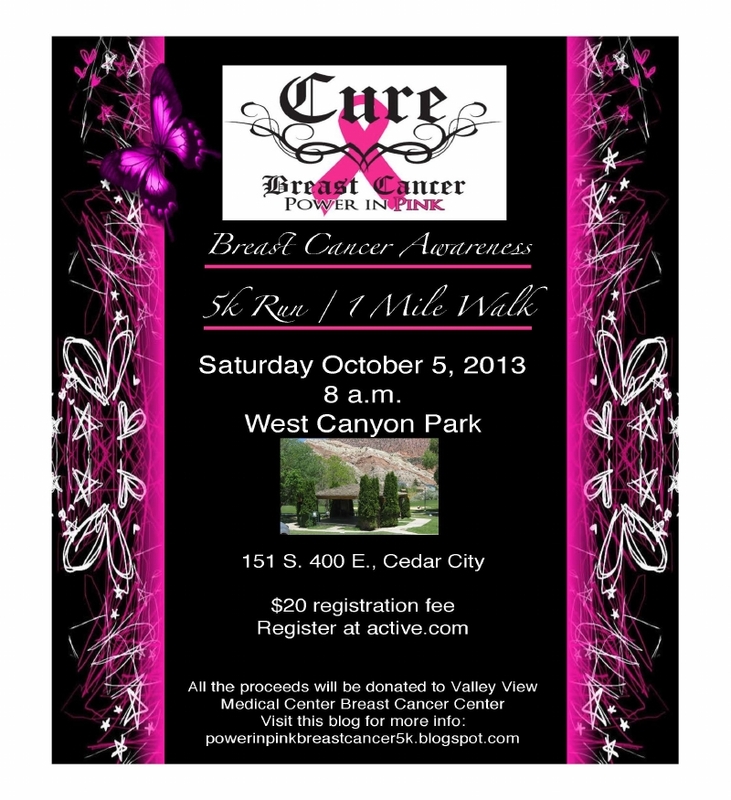 All proceeds will be donated to Valley View Medical Center’s breast cancer treatment programs, benefiting local women. For more about Southern Utah running events, visit the STGnews RUNdown. Too bad breast cancer has to be so prevalent huh? Too bad there isn’t a cure or known cause huh? Oh wait, there are cures for cancer and known causes. 😉 women can start by stop getting mammograms that increase the chance I’d cancer by 30% and that the very act of smashing any possible cancer will metastasize it. Maybe make MRIs the gold standard and not mammograms. Let’s hear all the people calling me crazy on this one now Haha. What is the awareness walk making people aware of? Is there any goal to making people aware of cancer or is there any offered solution to breast cancer? Just trying to grt people to shift gears forward about cancer. Let’s do a cancer walk exposing the fraud of the cancer industry.